Can You Stand MORE Pumpkin? 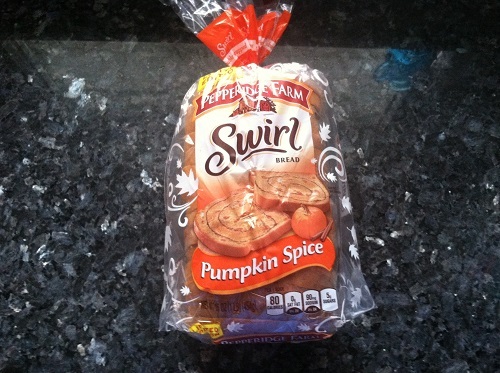 At this point, it’s a sickness – this pumpkin stuff. I’m apparently on a mission to use up everything I have in my freezer and the one can of canned pumpkin in my cabinet. But I just love it and it can’t be helped, so you’re getting blogs about it. I hope you don’t mind too much. Seriously yummy. Pretty sweet, but seriously yummy. 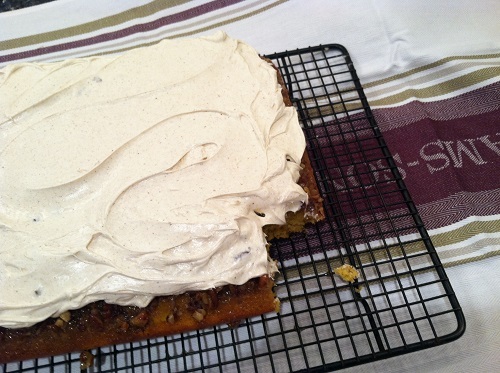 I didn’t include the optional drizzle of caramel over the top. 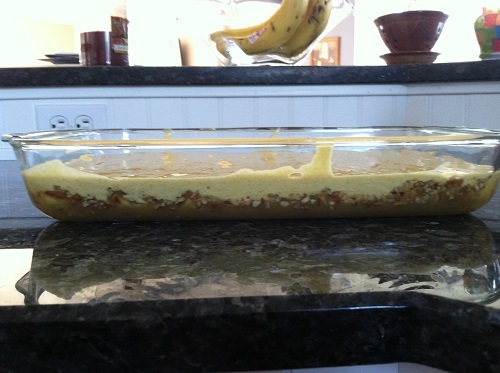 And I made it in a 9X13 pan instead of making a layer cake. Try it! I’ve got 1 1/2 cups more home-grown pureed pumpkin in my freezer and one can of Libby’s pumpkin in the cabinet, so the pumpkin madness may soon be ending. 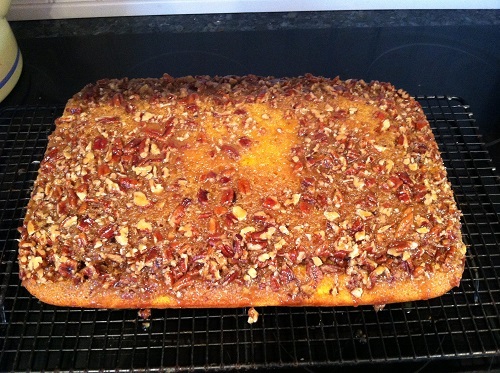 I’m thinking pumpkin chili and maybe pumpkin-cranberry bread. I guarantee this madness will not go past Thanksgiving. I have my limits and apparently Thanksgiving is it. 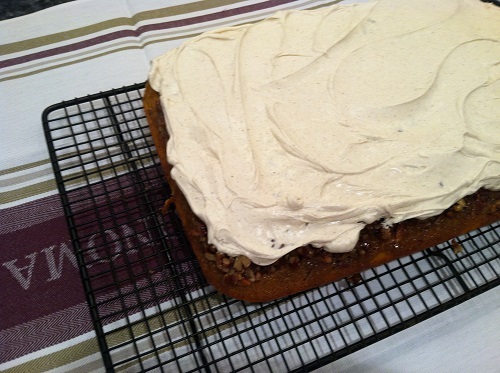 Posted in Uncategorized and tagged praline-pumpkin cake, pumpkin swirl bread on November 2, 2013 by lizytish. Looks delish! I bought a can of pumpkin due to all the pumpkin-love going on here .